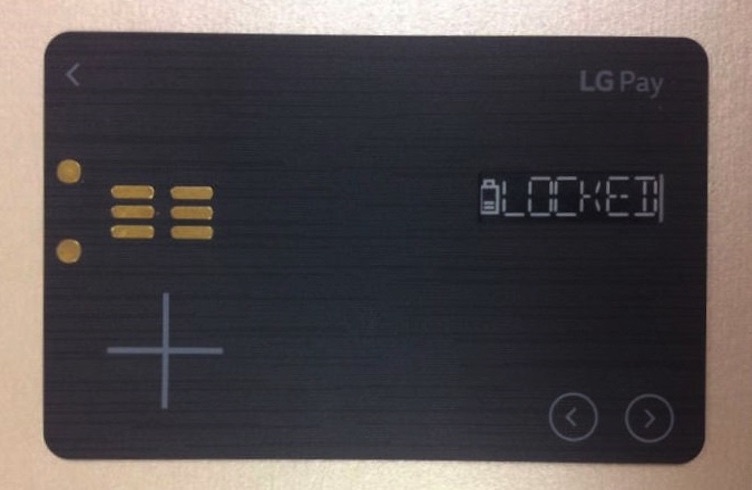 The LG Pay White Card is similar in size to a credit card but features a small low-power LCD display, a connector array on the left and two buttons on the right. The display tells the user which of their cards is currently selected, while the left and right buttons provide ways to lock the card and switch between accounts. The connector simply allows the card to be charged. While the idea isn’t new — consumers in the US can already pick up a universal card from Coin or Plastc — it suggests LG wants to be a little more original than its competition. According to Electronic Times, the company will unveil the “White Card” at Mobile World Congress (an event we’ll be attending) in the coming weeks. It already has support from a number of Korean payment providers, which means the electronics giant will likely launch the card in its home country before branching out.